One of New Orleans’ preeminent sculptors, Arthur Silverman arrived in New Orleans by way of New York City in the 1940s, graduating from Tulane Medical School in 1947 and working in a private urology practice for more than 30 years. It wasn’t until the 1970s that Silverman developed an interest in sculpture as a hobby. This interested soon developed into a fulltime career as a professional sculptor, one which was launched with the commissioning of a 60 foot sculpture in the city’s business district at the corner of Poydras Street and Loyola Avenue. Since then Silverman has received more than 25 public commissions in public spaces throughout the city, in addition to numerous other works on public display around the country. Having recently retired at 85, Silverman’s work is limited and in high demand. Though he no longer sculpts, Silverman continues to draw, and occasionally a drawing may be available through Barnett Fine Art. Silverman’s “Steel Column #2” is available from Barnett Fine Art, In addition, commissions are available of several maquettes by Dr. Silverman Choose from several mediums: steel, cor-ten, aluminum, others; polished, coated, or natural finishes. 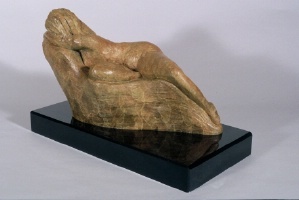 Another notable local sculptor, Joan Zaslow arrived at sculpting, much like Arthur Silverman, from a professional career outside the arts. 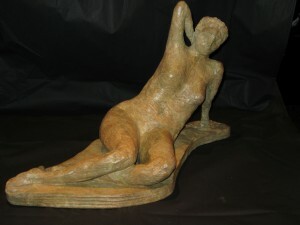 A former attorney, Zaslow began exploring sculpture in 1993. Since then she has engaged in critical art studies at Newcomb College of Tulane University, the New Orleans Academy of Fine Arts under master sculptor Kinzey Branham, and as a docent at the New Orleans Museum of Art. Zaslow uses live models as subjects to sculpt in a figurative style that sheds a nuanced light on the grace of the human form. Using clay as a medium, Zaslow employs the lost wax method to cast her figures into bronze. 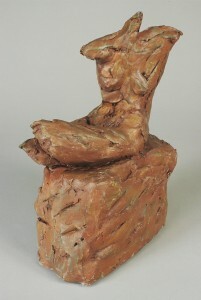 She also creates clay figures that are fired and hand patinated. Below are three of Zaslow’s works, available from Barnett Fine Art. This entry was posted on Monday, October 20th, 2014	at 2:24 pm	and is filed under Local Art	. Both comments and pings are currently closed.